OneDrive turns One. Thanks for a great year! 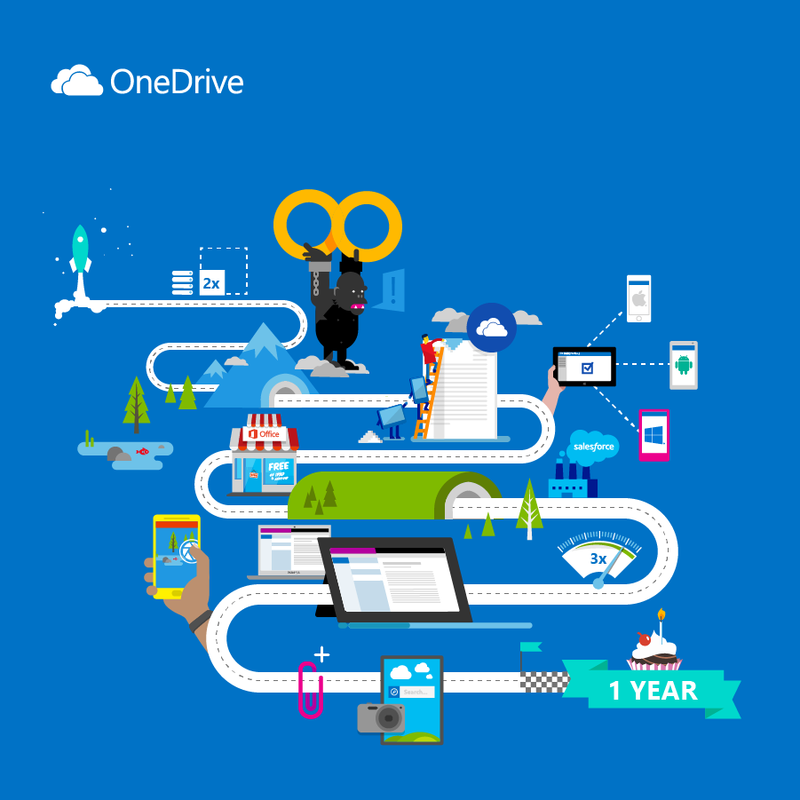 I can’t believe it was only a year ago that we launched OneDrive. We wouldn’t be anywhere without the hundreds of millions of people that use OneDrive and I wanted to say thank you on behalf of the entire OneDrive team! We’ve been working hard to make OneDrive the one place for all of your files — including photos, videos, and documents — available across the devices you use every day for work and life. 2. Office 365 storage benefit went from 20 GB to UNLIMITED! Thanks for a great year looking forward to the next!